Goodness is Rarer Than Greatness. A great suggested read from my friend Brian for the biggest faith challenge of our day. A neurologist's take on the secret to a happy brain. Turns out it's no secret, it's been discovered by most major theologies, but now we know more about why. I'm curious to see this new documentary about abandoned babies in Korea. It's fascinating to consider how cultural pressures and culture-specific taboos and shaming shape such fundamental issues. We're trying to raise money for this scholarship right now, consider a small donation. We're trying to remember one stellar human being with fondness and gratitude. He neither slumbers nor sleeps. A beautiful expression of awareness, tender mercies, and utter helplessness. Has anyone tried the Unstuck App? As someone who struggles with anxiety, I'm really tempted by the premise. Could it really get me out of my many ruts? I'm a long time fan of Margaret Blair Young, and I'm super intrigued by her latest endeavor. A narrative film exploring race relations in the LDS mission field in the Congo. Thought provoking article on gender and workplace "housework." I've seen this kind of gendered work expectation in my own workplaces, and in most others I've been exposed to. I wonder if a cultural shift is likely? I know my generation of husbands do more (home) housework than their predecessors. 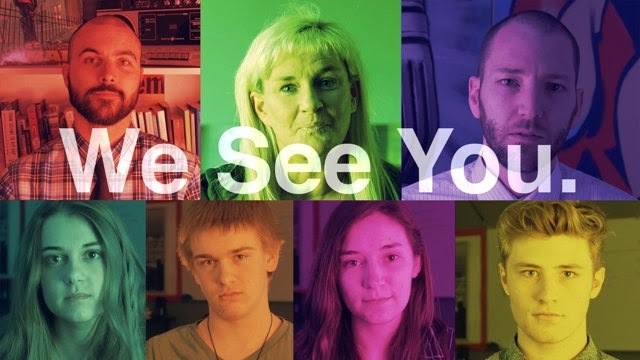 A poetry slam by Lone Peak High School staff - We See You - a message for students everywhere. A rather useful reminder to all of us really, that we cannot see the end from the beginning.